There are many reasons why people choose to age in place and why aging in place is growing in popularity. We have identified four of these already, and now we have a fifth one to look at and consider. The first reason why people choose to age in place, regardless of the current age or ability, is that they like their homes. Their homes may not be perfect in our eyes – or even theirs – but they like them. It offers them the floor plan, the physical location, the layout, the lifestyle, the general comfort and convenience, and a measure of accessibility that they are familiar with and have accepted. 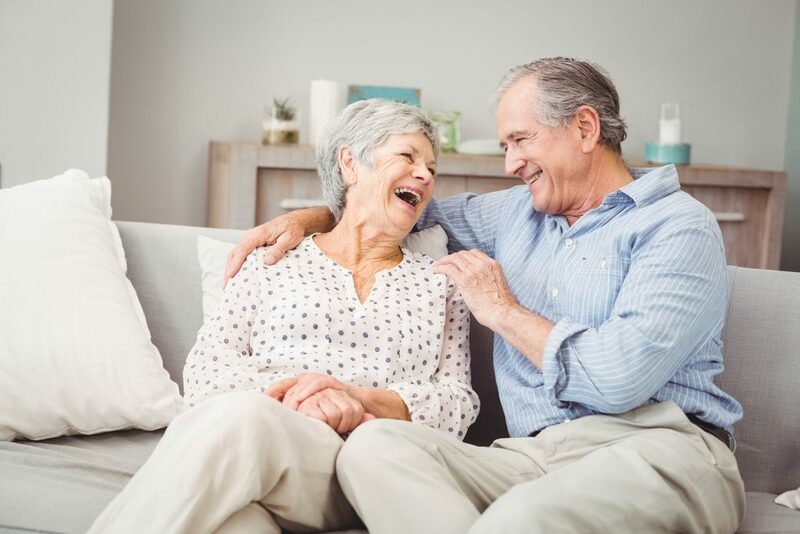 Their home could be made a little more accommodating for them – with our help – but they generally like it and won’t even consider the possibility of looking for or finding something else. This is their permanent home. A second reason why people choose to remain living where they are and to age in place is financial or economic. For what they paid for their home – possibly many years ago – most people cannot afford to replace it. Even those who can would rather not spend the money to do so. With the normal appreciation that has occurred in their neighborhood and the resale market in general, it would take considerably more money to replace their home – even if they could find something they like as well as their present one. This is not counting the direct costs of actually moving and establishing themselves in a new location either – or the likely higher property taxes and association dues. Their money probably would not go as far as it did when they purchased their current home so they might not find as desirable of a location or be able to get a home as large and well-featured as what they have now. A third reason for remaining where they are and not moving is that people have just amassed so many things over the years – “stuff” – that they are not willing to part with, sort, prepare for moving, or otherwise deal with it. The thoughts of sorting through all of their stuff and then deciding what to keep, what to pack up for a move, what to discard, what to give away, and where to find the time to do any of this is just totally overwhelming for many people. As a result, this one factor alone will keep many people from moving from their present home. A fourth reason that people are choosing to remain in their present home and age in place where they are is that people do not like change. Staying where they are is simpler and easier than any of the alternatives. While the thoughts of a new home might seem initially appealing to them, they dismiss them once they consider what moving would actually entail. Even when people don’t make a formal admission or declaration of their intent to remain where they are – to themselves, their family, or others – they won’t interrupt the status quo. This is true even when their current home is not matching their current needs very well. We can help them fix this, but it will be in their current home because they simply find staying more desirable than trying to do anything different. That brings us to reason number five. People are survivors. They are resilient. They adapt and overcome. Yes, they like their current home, don’t think they can afford to move anyplace else (even if they really wanted to do so), have way more stuff that they can handle in a reasonable amount of time, and really don’t want to do anything different as far as having a place to live. So, when their current home isn’t meeting their needs as well as they would like, when they have a temporary health setback or physical disability that limits their mobility or use of their home, when something in their home stops working or breaks and creates an inconvenience, or when other challenges arise, they figure out a way around them or deal with them the best way they can – on their own, with the help of family or neighbors (or support groups), or by calling a handyman or contractor. The main thing is that for at least these five reasons – and there are others – people are electing to remain in their long-term home even longer. This is true regardless of any shortcomings they are noticing or experiencing. If they can find a way to improve what they have, they may do so. Otherwise, they will figure out how to cope with it and keep on going. We can help them, but only when we discover that they need us or when they reach out to us for our assistance.